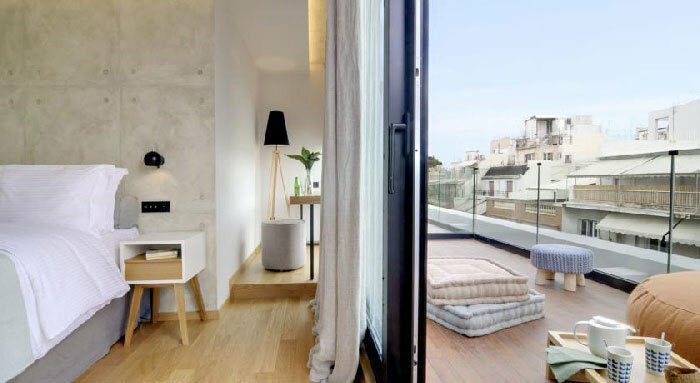 The complete list with the 15 Best Hotels in Athens for 2019!! 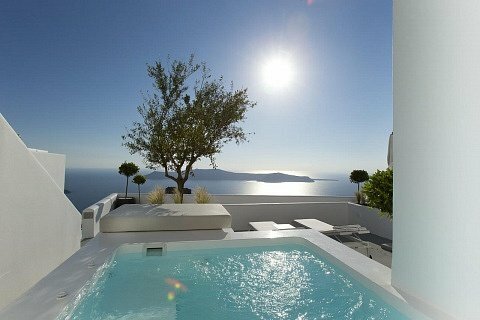 I receive many emails from people asking me about the best hotels in Athens and also about the more affordable ones! Although, answering and interacting with each of you is totally fun and one of the main reasons that I write this blog, I thought I should create a relevant post! Now, because my current work is between London and Athens, many times I come to Athens and stay at hotels in the centre. That’s why I collected the best hotels in Athens with photos and a detailed map at the end of the post for 2019 and also some extra tips if you intend to come to this great city! 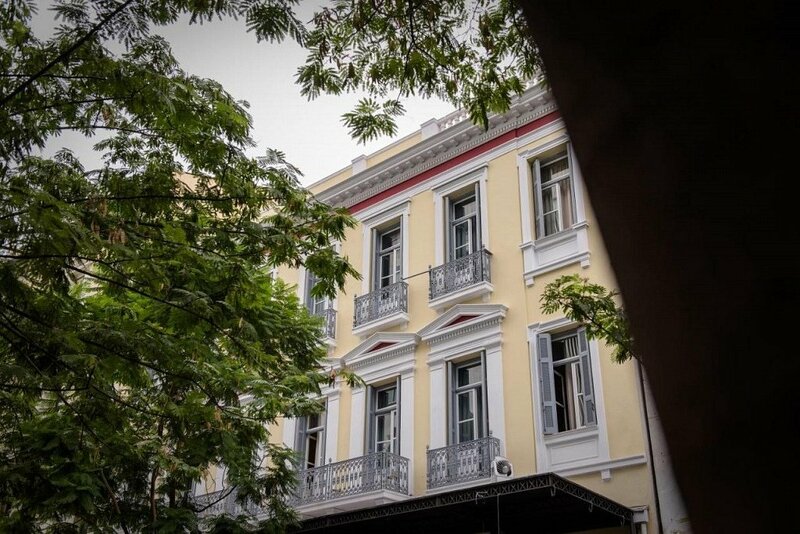 If you are coming for a short period and you prefer to stay in the centre (which is my recommendation as well), then you have 4 basic areas as options, Plaka, Monastiraki, Koukaki, Syntagma. There is also an upcoming area of Keramikos, which used to be a little rough, but new restaurants and bars and hotels have opened and they have boosted the area. 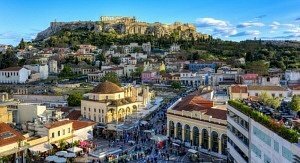 Athens has a beautiful historical centre which includes Syntagma, Plaka, Monastiraki, Thiseio and Anafpliotika, where you can walk around and avoid the areas outside of the centre which objectively are not so nice! I think that a period of 3 days is enough to see the basics points of the capital of Greece. 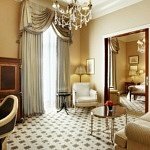 The best luxury hotel in Athens is the Grande Bretagne on Syntagma Square. The best bars in central Athens is Noel Bar and the Clumsies in the centre and have been voted as some of the best cocktails bars in the world! A classic choice is, of course, Brettos in Plaka and if you like rooftops Couleur Locale in Monastiraki is a must choice for a drink or coffee. If you want to taste Greek affordable cuisine then, we recommend Liondi Traditional Greek Restaurant or Lithos in Psyri. Airbnb is always a choice, but personally, I prefer Booking.com, as now they include apartments and houses as well on their platform and they still offer the option to cancel the booking in many cases. Find more about What to do and more Tours and Activities Here! 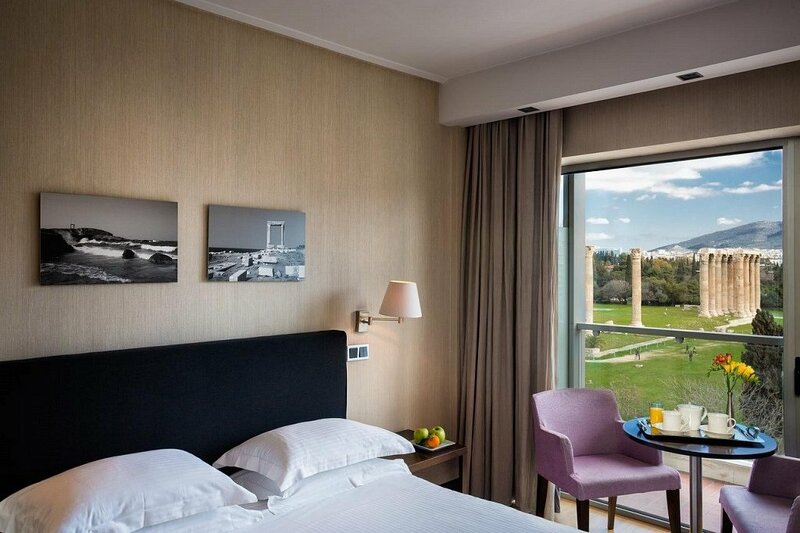 Probably the best hotel in Athens, which is located opposite Syntagma Square and the House of Parliament and in walking distance to nearly all major attractions. From Grande Bretagne’s roof Garden Restaurant you can see the original Olympic Stadium as you dive into the pool! Also, it has a breathtaking view of Acropolis and Parthenon and it is the opposite parliament building. I don’t think that you can ask for something else!! Check the prices here! 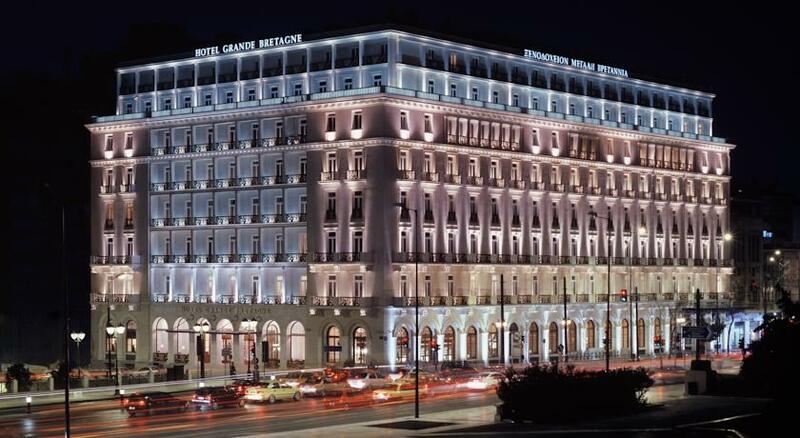 This 5-star hotel is situated in a fantastic location, very close to Syntagma Square. Electra Metropolis has a sun terrace and views of the city rooftop restaurant, which is worth a visit even if you’re not a guest!! Check the prices here! 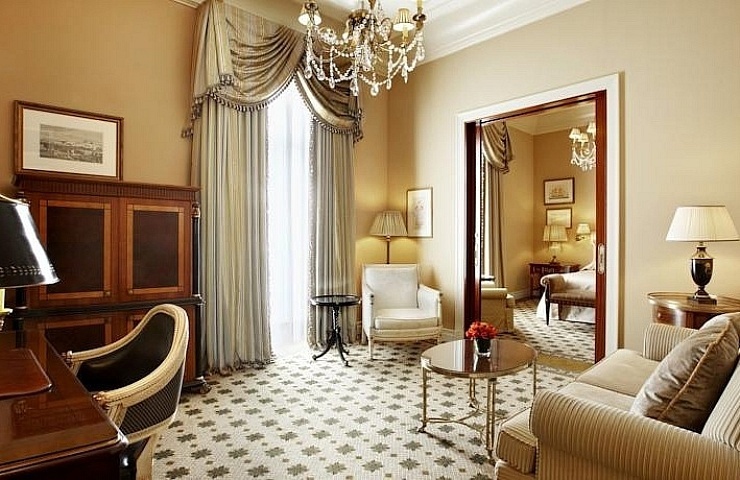 Next to Hotel Grande Bretagne is another 5-star hotel between the Parliament and the fashionable Voukourestiou Street. 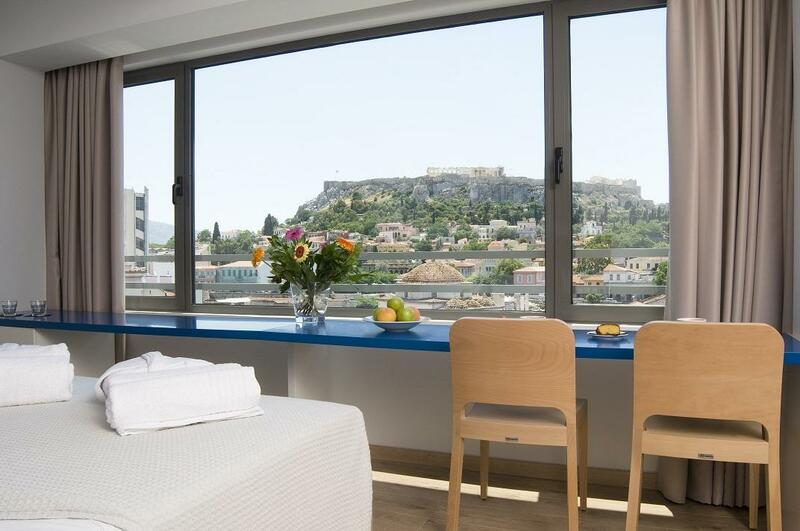 Enjoying panoramic views of Athens City from the seventh floor, it lies within a short walk from Acropolis and the old area of Plaka! Check the prices here! 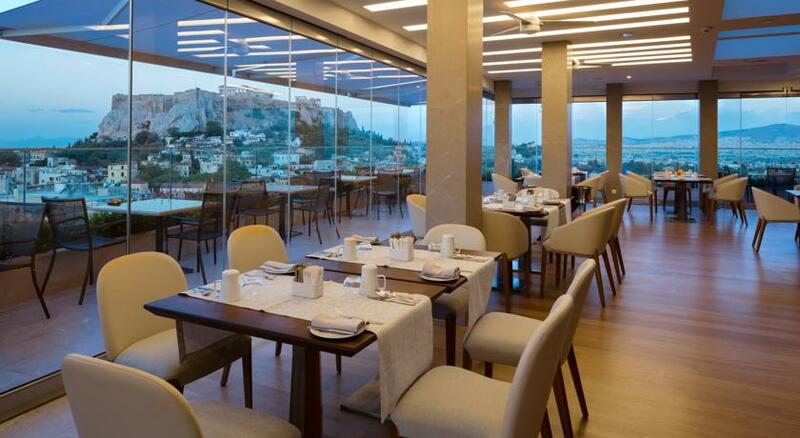 Hilton in Athens is also a 5-star hotel with a stylish rooftop Galaxy Bar, which offers Acropolis views from its open-air terrace. 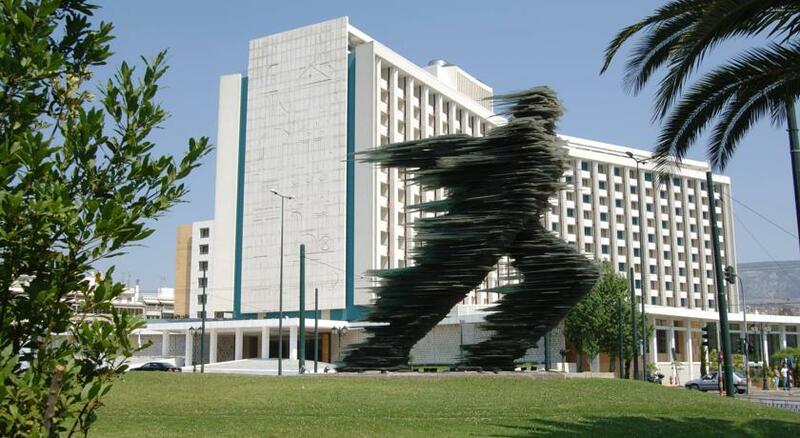 The hotel is very close to the National Art Gallery, the Athens Concert Hall and the Kolonaki shopping district. Check the prices here! 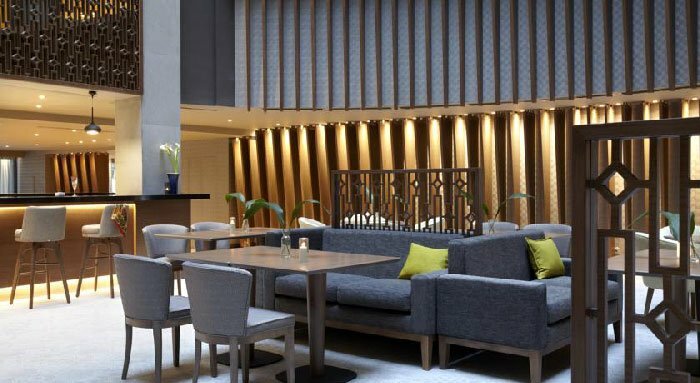 This is recently renovated hotel which is located opposite the Stavros Niarchos Foundation Cultural Center, an amazing cultural centre, which is designed by Italian architect Renzo Piano that houses the National Library of Greece and the National Opera. 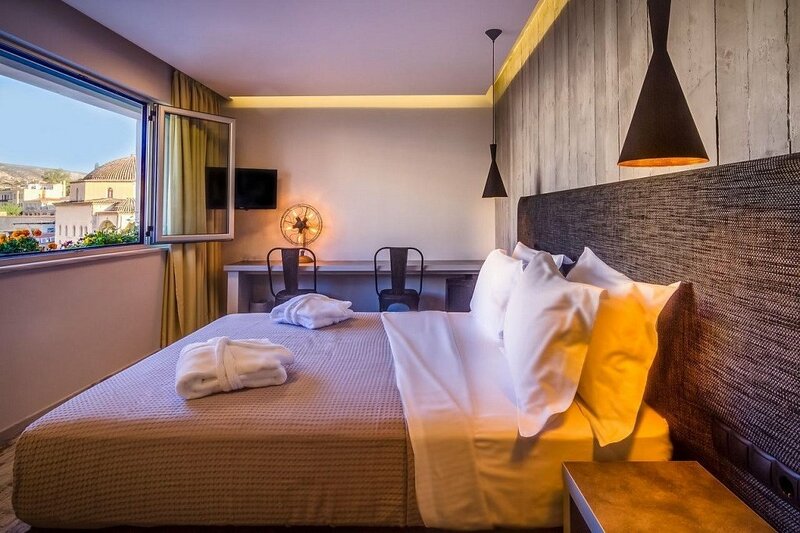 It has a new and modern design and it is ideal for business and leisure as it is quite close to Athenian Riviera! Check the prices here! The location of this hotel is totally spot on. It is situated in Dionysiou Areopagitou, the most scenic pedestrian street in Athens and opposite of the Acropolis and the New Acropolis Museum! Also, the Temple of Olympian Zeus is a few steps away and Syntagma Square is a 10-minute walk away. Check the prices here! 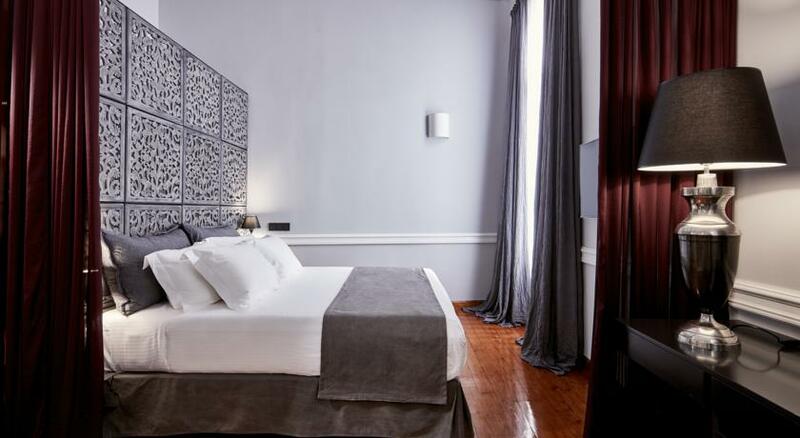 Coco-Mat Hotel is located in one of the most high-end districts of Athens, in Kolonaki. The hotel is really comfortable, with a beautiful roof terrace with excellent views! The surrounding area has everything that you might want, from trendy bars to restaurants and premium boutiques. Check the prices here! This is also a recent entry to the Athenian Hotel scene! 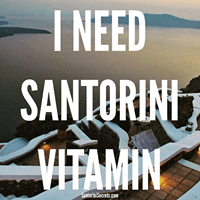 I certainly love the rooftop swimming pool and the bar-restaurant with panoramic views of the Acropolis! The hotel has really invested in high-end facilities and beautiful decoration. 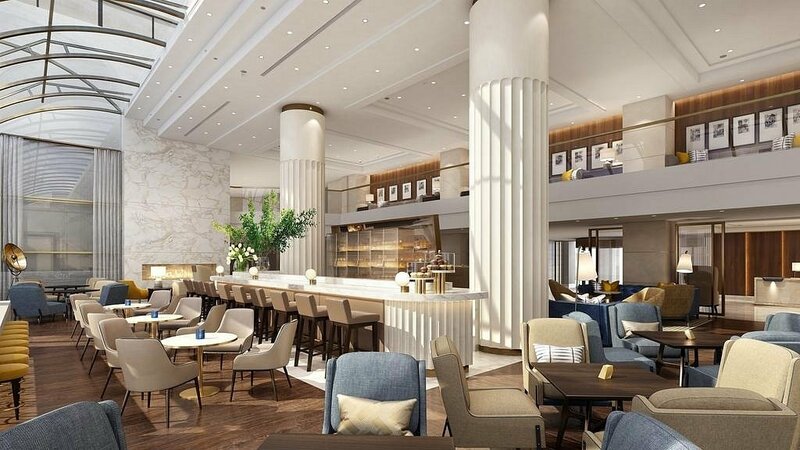 It is located in an area that used to be a little bit rough, but now it is very upcoming and trendy with many bars and restaurants and it’s close to two Michelin star restaurant Funky Gourmet! Check the prices here! 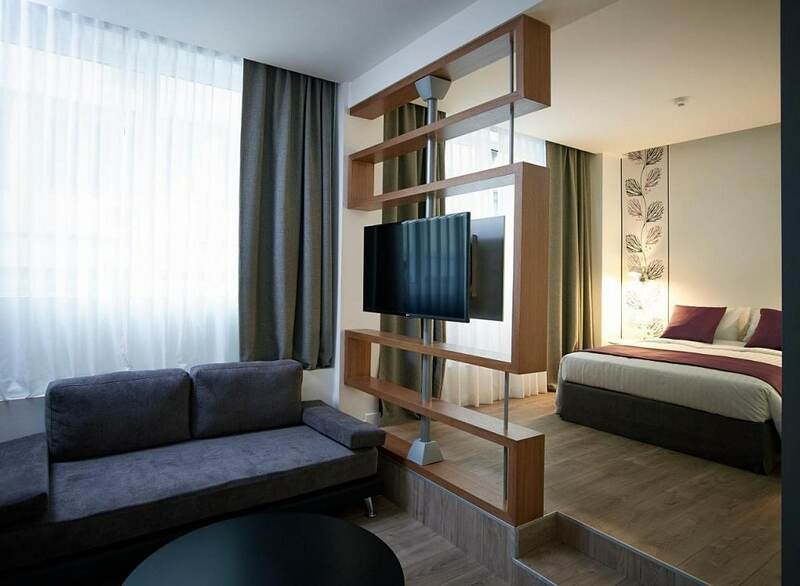 Another well-located hotel, very close to Metropolis Greek Orthodox church and to Monastiraki and Syntagma Square. 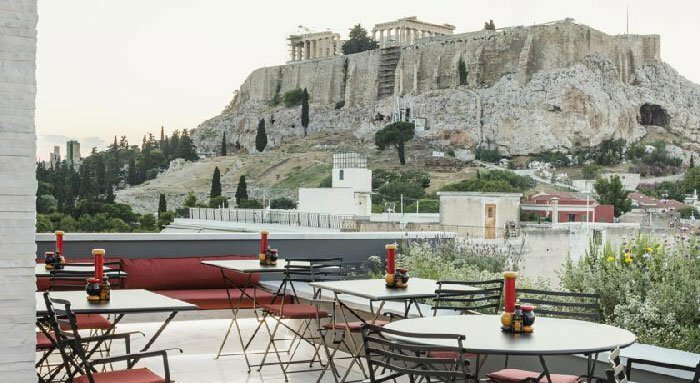 Even if you don’t book this hotel, you can visit its rooftop as it offers excellent food together with stunning views of Parthenon. Take also into account that often Zillers Boutique provides a very good value for money! So, think about it! Check the prices here! 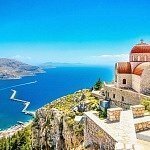 It has an incredible terrace with a stunning view to Acropolis and it is next – literally a few meters – to Monastiraki station, which makes it ideal if you want to catch the train to Piraeus and visit some of the best Greek islands. Its rooftop gets extremely popular as it has excellent cocktails and views that really will astonish you! Check the prices here! Amazing location, 200 meters from the Acropolis Museum and the Temple of Olympian Zeus next to the historical Plaka area. Check the prices here! This hotel is maybe the definition of good value for money. The location is spot on, in the middle of everything and there is a direct train from the airport! Everything is literally a walking distance from restaurants and bars and next to the flea market. Quite impressive is the breakfast, which is served on the top floor restaurant with an amazing view of (can you imagine what?!) the Acropolis! Check the prices here! If you are looking for a clean hotel in a central location and in the budget, then this would one of your choices for sure. It is close to Omonia station, which used to be rough but it is getting better and to lively Monastiraki, featuring an array of taverns and traditional shops. Check the prices here! 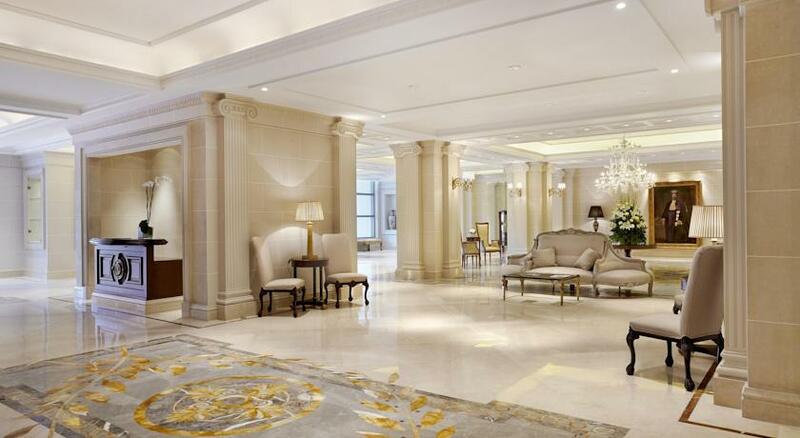 Another value for money choice and of course in a very central location, where you can walk to all major sites. Check the prices here! This probably the most affordable hotel that we recommend. It is not a luxurious one for sure, but it provides a nice stay in a perfect location. Check the prices here! Here is the map with all the best hotels in Athens! 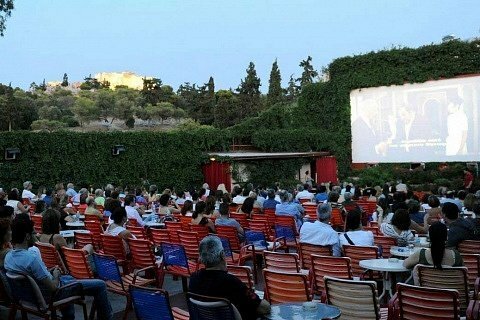 Find more about What to do in Athens and more Tours and Activities Here! Finally, find the 7 +1 museums in Athens that you have to visit Here and the complete travel guide about Athens here! If you have any question, leave a comment! 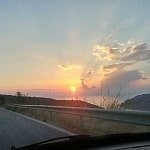 NewerThe best road trips in Greece! 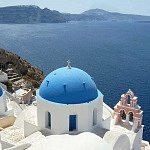 Older21 Best Hotels in Santorini for 2019! 21 Best Hotels in Santorini for 2019!